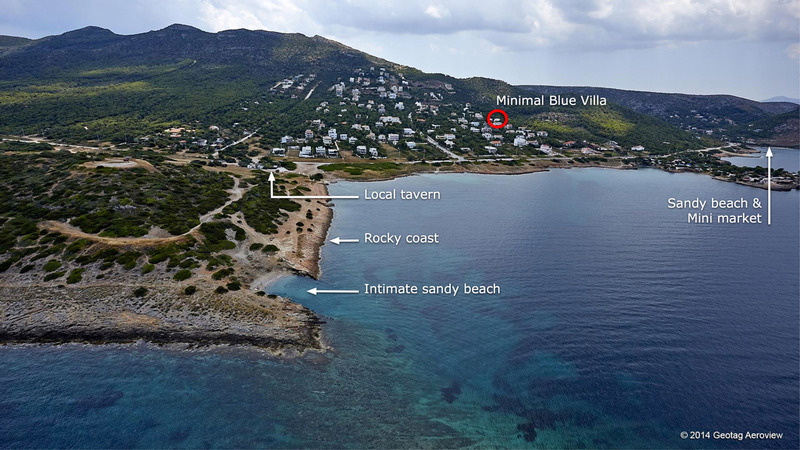 Minimal Blue Villa is located in Polytechnic settlement, a seaside area in Chamolia Attica Greece, 10 minutes on foot from the beach, 5 minutes drive from Porto Rafti, 22 minutes drive from Athens International Airport and 40 minutes drive from Athens City Center. Explore historical Athens and beautiful Attica during your stay, with car rental available through Minimal Blue Villa. In this area shrouded in ancient myth and mystery, as well as exceptional natural beauty, visit the Temple of Artemis or discover the ancient history of the place in the local museum.